From early July until early October, the West Africa region has mostly received average to above-average rains that are well-distributed (Figures 1 and 2); the resulting adequate moisture conditions have met the various crops’ water requirements throughout the growing period. An overall good rainfall season with no significant pest infestations has allowed crops to develop very well; harvests have started since early October and are expected to be average to above-average. The Intertropical Front’s (ITF) southward retreat continues, which is causing the beginning of the dry season in the Sudanian and Sahelian zones. The end of the rainy season will be slightly late in the Sahelian zone compared to normal and is expected to take place on time at the end of October for the rest of the region. The medium-term forecasts for the next two weeks (Oct 25-31 and Nov 1-7) illustrates the ITF’s southward retreat as rainfall is only expected in the southern part of the Sudanian zone. The 2016 growing season was generally characterized by an early onset of rains that allowed for early sowing/planting. However, the first part of the season had poor rainfall distribution resulting in dryness in some areas, which particularly affected the western part of the Sahel (Mali, southern Mauritania and Senegal). From late July to October, the region has generally received average to above average rainfall, which has offset most of the deficits observed at the beginning of the season (Figures 1 and 2). The above-average rainfall also caused some flooding in many places across the region in August. However, flood damage has been limited mostly to housing as it has been mainly caused by the lack of, or poor maintenance of, drainage systems. The Intertropical Front (ITF) continues its steady southward retreat. This retreat has been slower in the western portion of West Africa with an average ITF position around 15ᵒN over Mali and Mauritania but around 12ᵒN over northeastern Nigeria and Chad (Figure 3). The seasonal “minor wet season” in the bi-modal zone that is normally two month long, started in late August, which is a little earlier than normal. Since mid-September, this season has been characterized by average to above average rainfall. Given its short length (it normally ends in late October-early November) and favorable rainfall levels, a good second harvest is expected. The mostly adequate and well-distributed seasonal rainfall across all agro-ecological zones of the region has been favorable to crop development. The main harvests have been completed in the Sahel and are on-going in agro-ecological zones further south. Prospects for above-average production look good. NOAA/CPC’s short and medium-term forecasts show the rainy season is ending over the northern part of the agricultural zone. Therefore, moderate to heavy rainfall is forecast only for the southern parts of the Gulf of Guinea countries in the next two weeks (Oct 25-31 and Nov 1-7). October normally marks the end of the growing period in West Africa, and November begins the dry season. 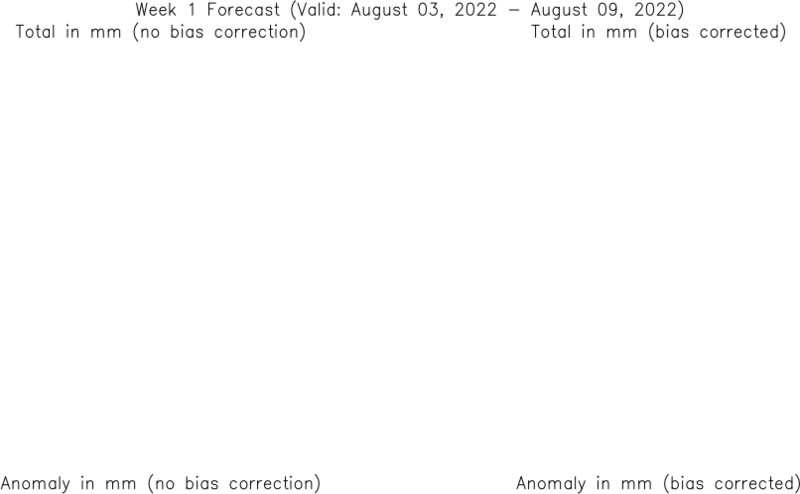 The NOAA-NCEP seasonal forecast, therefore, indicates the prospects for out-of-season rainfall, mainly for the bi-modal zone. This forecast calls for average rainfall in November and above-average rainfall in December in the bi-modal zone.